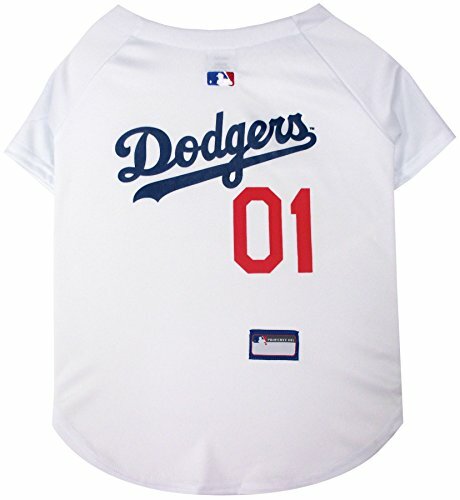 Your pet will become a #1 fan with this officially licensed MLB PET JERSEY. The poly-cotton body creates a CUSTOM FIT, while providing ULTIMATE COMFORT. Front features v-neck with button down Velcro closure. 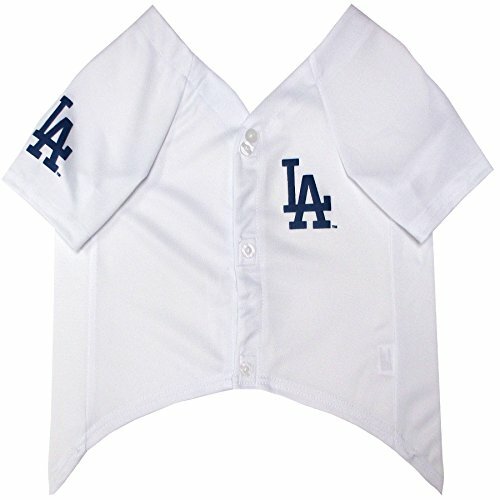 Get ready for some BASEBALL with a jersey that includes printed TEAM NAME, LOGO and NUMBERS. The back of the DOG JERSEY features a woven MLB jock tag, with an area for personalization. 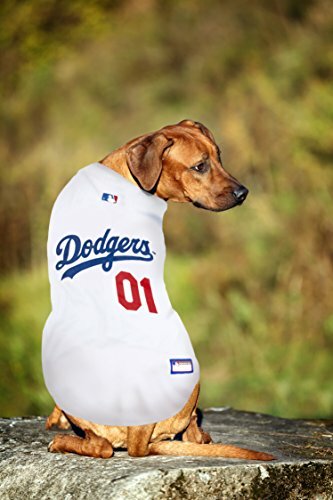 Hit a HOMERUN with this authentic PET JERSEY so your entire family is ready for game day! 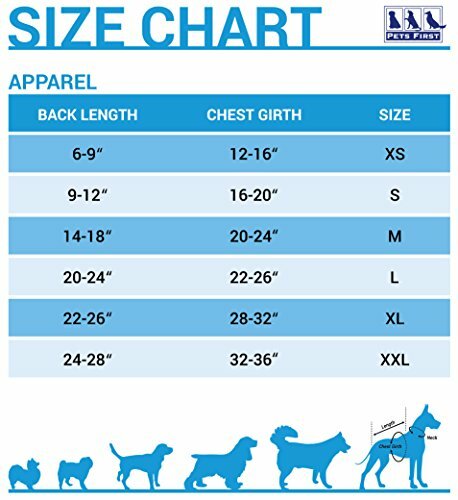 To choose the correct size: Measure your pet from the nape of the neck to the base of the tail and follow the illustrated size chart located under the item’s picture! Arizona Diamondbacks, Atlanta Braves, Baltimore Orioles, Boston Red Sox, Chicago Cubs, Chicago White Sox, Cincinnati Reds, Cleveland Indians, Colorado Rockies, Detroit Tigers, Houston Astros, Kansas City Royals, Los Angeles Angels, Los Angeles Dodgers, Miami Marlins, Milwaukee Brewers, Minnesota Twins, New York Mets, New York Yankees, Oakland Athletics, Philadelphia Phillies, Pittsburgh Pirates, Saint Louis Cardinals, San Diego Padres, San Francisco Giants, Seattle Mariners, Tampa Bay Rays, Texas Rangers and Washington Nationals. Choose your team and Add to Cart Now! Pets First company has established itself as the largest sports-licensed pet product company in the country. Pets First has gained its reputation in providing every pet owner with premium licensed pet products; from unique and colorful apparel items to fun and playful toys and accessories. Working with the latest technology, our creative designers choose from the highest quality materials to provide durable, unique and innovative pet merchandise. Our factories follow the highest standards of safety guidelines to ensure your pet’s security, while providing a long lasting product. HIGH QUALITY MATERIAL: Lightweight with a breathable feel for enhanced comfort and mobility. The perfect DOG JERSEY for hosting a party, watching the game or as a gift! -✮- Scroll down for a detailed description. BASEBALL TEAMS: Available in 29 MLB Teams! – ✯ – Choose your size & your favorite team, and CLICK ADD TO CART NOW!